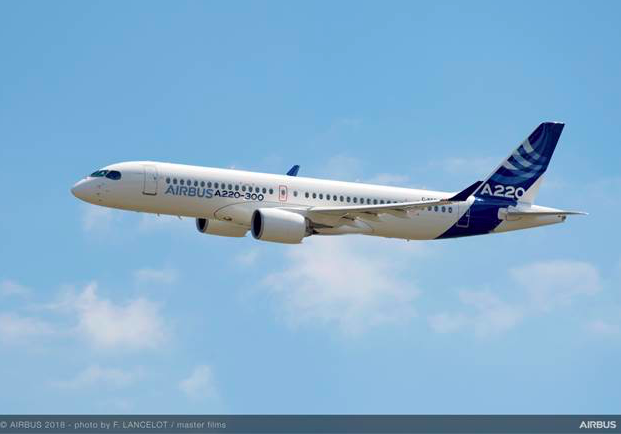 Airbus now has “a very good understanding of the cost base” of the A220 program, but negotiations with suppliers, key to bringing down costs, are still ongoing, Airbus-Bombardier partnership CEO Philippe Balducchi said. Airbus aims to cut unit costs by a large double-digit percentage to bring the A220 program, formerly the Bombardier CSeries, into profitability. While Balducchi anticipates significant efficiency gains internally as output of the A220 is increased over time, the cost reductions need go far beyond its own abilities. When the program was still owned by Bombardier, suppliers were able to negotiate contracts that were highly favorable to them because of perceived program and market risks. With the A220 under its control since mid-2018, Airbus is now trying to leverage the greater negotiating power it has over its supply chain. A220 output almost doubled from 17 aircraft in 2017 to 33 last year. In the second half of 2018, 20 aircraft were delivered. When the program was still owned by Bombardier, 40 aircraft were targeted for 2018, but Balducchi said the lower level of production was “in line with customer commitments and internal targets.” He declined to reveal the 2019 production target, but said an output of 10 aircraft per month is expected by the middle of the next decade. The Mirabel, Quebec, facility has room for 10 aircraft per month, while the new final assembly line in Mobile, Alabama, will have capacity for four more per month. Fifty-seven A220s have been delivered so far to five customers—Swiss International Air Lines (SWISS) with 28, airBaltic (14), Korean Air (9), Delta Air Lines (4) and Air Tanzania. Atlanta-based Delta plans to launch scheduled flights Jan. 31, although the partial US government shutdown has cast doubts on its ability to stick to the plan. The fleet has accumulated 120,000 flight hours, head of A220 engineering and customer support Rob Dewar said, with 135 A-checks performed “with no findings” and the first C-checks ongoing. Fatigue testing has been completed and category III autoland capability certified.